Which when you consider how many flights I take a year, its pretty ridiculous. Currently I’m trying to get over the anxiety induced by a flight on the tiniest plane I’ve ever been on out to Guernsey ahead of a charity event the Team is doing. I’ve been getting better and better recently; well I haven’t screamed on the last 3 flights that I’ve taken, and the Cabin service manager hasn’t had to sit with me or calm me down on the last 2! Todays flight however was a shocker- a tiny little propeller plane waiting for me wasn’t going to help anything, and follow that up with the Captain announcing that there were 120mph winds waiting for us and it was going to be bumpy so he was keeping the seatbelt sign on- a surefire start to my anxiety reaching epic levels. 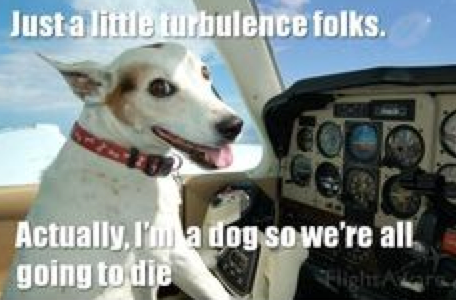 The biggest trigger for my anxiety attacks (and sometimes screaming fits, crying or passing out) is turbulence. Nothing feels more unnatural to me and sets my mind straight into a fear of plummeting to death in a metal tube whilst muttering Mutley style expletives…. After much reading, I stumbled across this article on Askthepilot.com and it made me start to think about how much time worrying and the resulting wasted energy I spend on flights. Except that, in all but the rarest circumstances, it’s not. For all intents and purposes, a plane cannot be flipped upside-down, thrown into a tailspin, or otherwise flung from the sky by even the mightiest gust or air pocket. Conditions might be annoying and uncomfortable, but the plane is not going to crash. Turbulence is an aggravating nuisance for everybody, including the crew, but it’s also, for lack of a better term, normal. From a pilot’s perspective it is ordinarily seen as a convenience issue, not a safety issue. When a flight changes altitude in search of smoother conditions, this is by and large in the interest of comfort. The pilots aren’t worried about the wings falling off; they’re trying to keep their customers relaxed and everybody’s coffee where it belongs. We were discussing my fear of flying on the way back from our last trip to Rio, and I do totally get that it’s a pretty irrational fear. So I’m working on getting a bit better when it comes to flying. 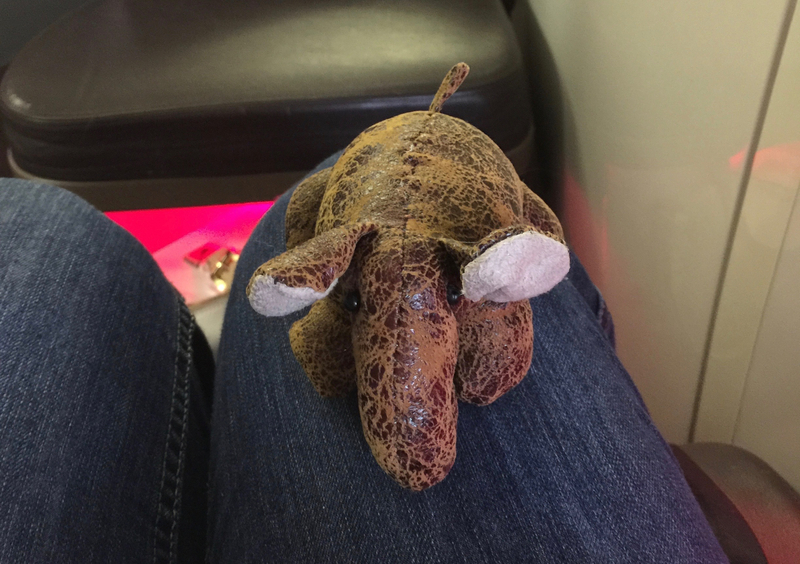 For now though, I’ll keep flying with Bif the stress ball!